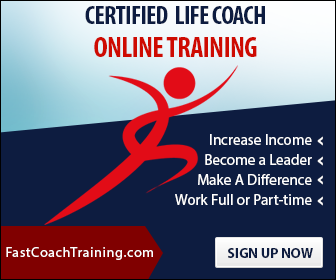 Why Become a Certified Life Coach? Freedom – When we ask our graduates why they love being certified life coaches, they always say that the freedom is one of the best things about being a certified life coach. A life coach is free to choose when they work and where they take the call. Since Life Coaching is primarily done over the phone it can be done practically anywhere, some of our graduates go on to work from home, the road, an office, or while on vacation. The choice is yours, and that’s freedom! The great income a life coach earns by helping other people to create a better life and business, is another major expression of freedom. Do you have any idea how much a life coach earns per hour? Most Life Coaches earn such a great living they only work part-time with clients and do what they want to do with the rest of their lives. Now this is ultimate FREEDOM! Although many companies will require you to pay thousands of dollars and take up to two years of training, the #1 Premiere Life Coach Training Organization in the World – International Coaching Science Research Foundation (ICS Research) now offers a 1-day Intensive Training! 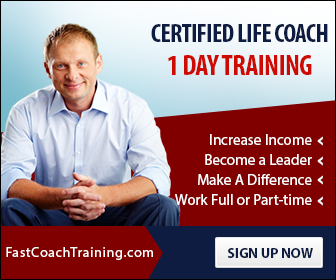 Can you imagine, in one day and you’ll have the freedom of being a Certified Life Coach? – Ask about our Partial Scholarships. ✓ Life Coach Business Forms to “Jump Start” your business! ✓ And ON-GOING WEEKLY COACH SUPPORT. You’ll never be alone. Whether your goal is to launch a thriving coaching business, grow a current coaching practice, or simply add a ‘coach approach’ to your repertoire of skills, the 1-day accelerated Life Coach Training and Certification is going to give you the freedom you’ve been looking for! This is your chance for more freedom! OUR PERSONAL GUARANTEE: If at the end of the training, your mind and life aren’t completely blown away (in a good way), we’ll give you every dime back! That’s how confident we are! Over 20 years of training and certifying more than 5,000 Life Coaches, we know you’re going to love being a Life Coach!